Caring people throughout our area are asking how they can supply some of the basic food needs for their neighbors who need help now. In an effort called Family Food Drive, Nu-Way Cleaners set up donation barrels at all four of their locations to collect newly-purchased, unopened, non-perishable food items and canned goods. All donations will go to the Weld Food Bank. Also, cash donations can be made to these food banks throughout the year. They reduce hunger by distributing food to individuals and families, and in cooperation with more than 200 non-profit agencies that serve those in need. In 2010 the Food Banks distributed more than twelve million pounds of food to hungry people, half of them children. For every one dollar donated to the food banks in Weld County, they can provide a family with enough food for four meals. 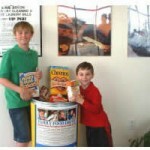 Call Weld County Food Bank at 970-356-2199 or visit them at www.weldfoodbank.org to donate food or funds, or to volunteer on an as-need basis. 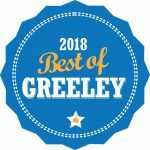 We would like to THANK YOU for your support in the Greeley Tribune’s Hot Picks – the BEST of Greeley. It has been a wonderful year and we thank you for your business now and always! Nu-Way has served the Greeley area for over 40 years and we are proud to be considered the premier dry cleaner in Northern Colorado. Nu-Way Cleaners Joins Hanger Recycling Program! Nu-Way Cleaners is asking everyone to help “Keep Our Earth Clean and Green” by recycling their wire hangers. 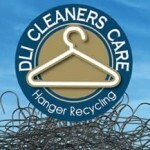 Nu-Way has joined the Drycleaning & Laundry Institute’s DLI Cleaner Care Hanger Recycling program. So far, over 300 environmentally-conscious drycleaners from around the world pledged to reduce, reuse, and recycle more than 19 million hangers and the resources it takes to make them. The goal is to recycle 25 million hangers in 2012. That’s 750 tons of steel – enough to create six Statues of Liberty, according to the Port Authority of New York & New Jersey. Participating cleaners have pledged to help consumers properly recycle unwanted hangers. They will recycle and reuse as many hangers as possible, and send all unusable hangers to a recycling agent whenever. In appreciation of our community educators and their support staff, Nu-Way Cleaners wishes to thank ALL district employees with a special 20% discount on ALL of our services. To set up the discount for current and future orders, just show your school id card at any of our locations. We are full service cleaners having served the Northern Colorado area since 1972 with four locations in Greeley. We provide a variety of services to fit your wardrobe needs. Whether you need a fresh cleaned suit or formal dress for your event or maybe just a crisp starched shirt for work, we can get the job done for you. We use state-of-the-art dry cleaning machines and the environmentally friendly EcoSolv® cleaning fluid, along with continuous training from our professional organization, the Dry Cleaning & Laundry Institute (DLI) from which our General Manager holds the Certified Environmental Dry Cleaner Certification (CED). Nu-Way is the only Greeley drycleaner holding membership in this national trade association.